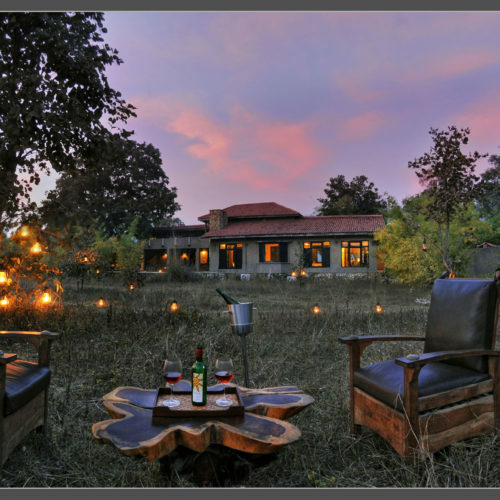 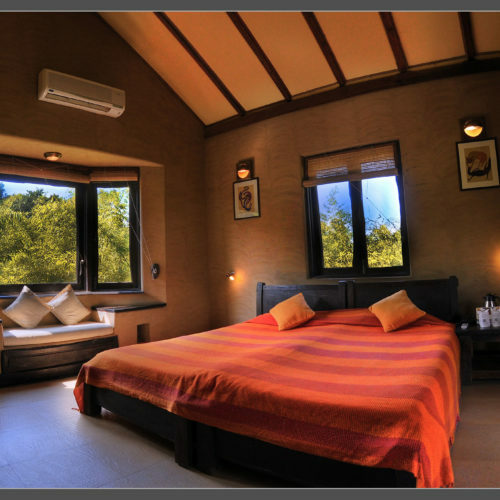 Here in the heart of true wildlife country you are just a ten minute drive from the Tala gate of the Bandhavgarh National Park. 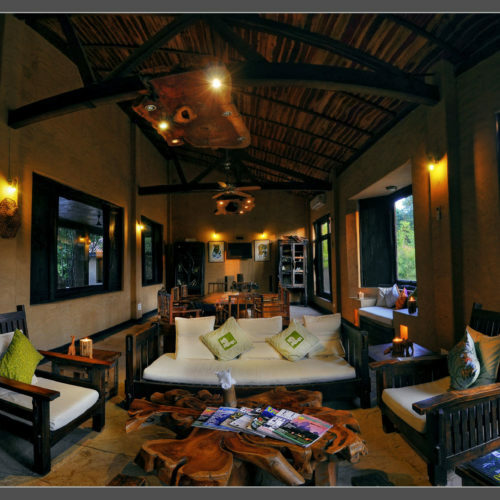 The lodge comprises 10 cottages and 8 stilted cottages with all mod con bathrooms and fully air conditioned. 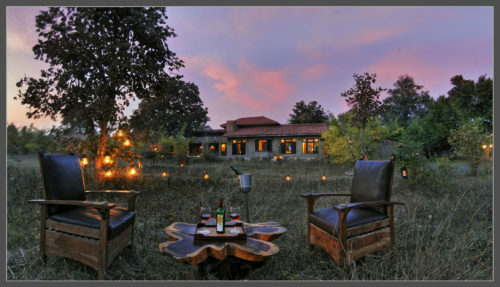 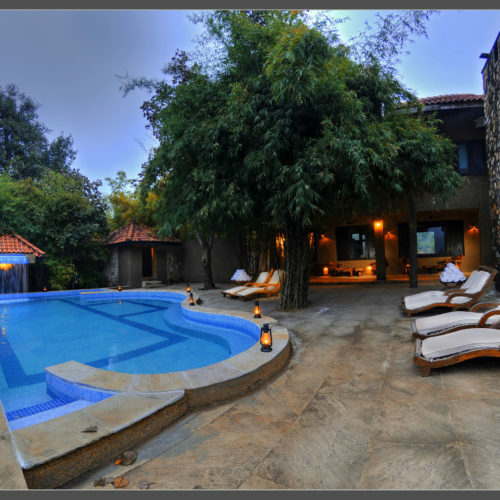 Each have a large verandah with a writing desk, overlooking the lush forest. 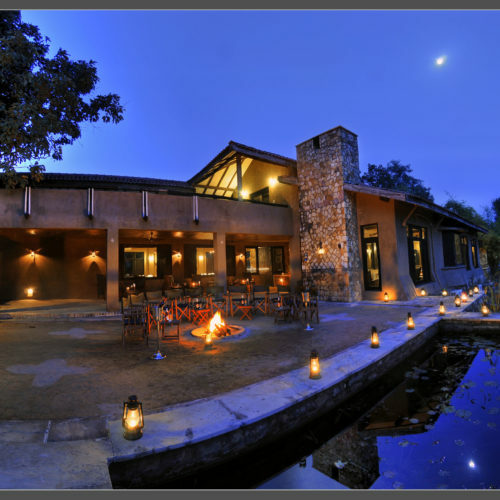 The meals can be held in the inviting, warm dining room or held outside around the open fire. 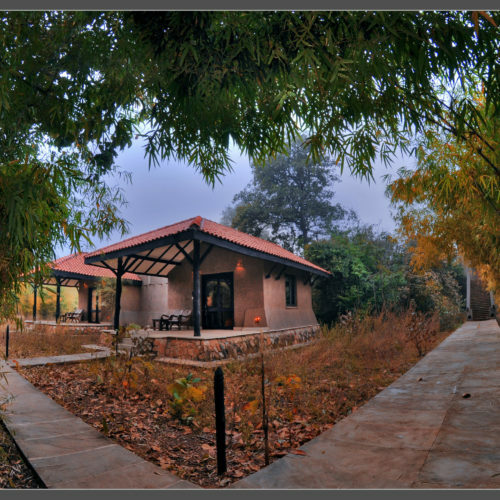 There is a small nature library, swimming pool and a watch tower near by.